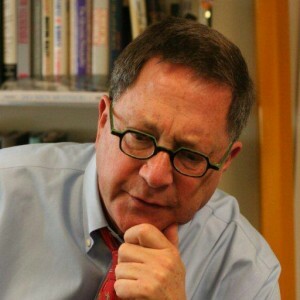 David L. Kirp is a professor of public policy at the University of California, Berkeley, a member of the National Academy of Education, a contributing writer to the New York Times Sunday Review and a senior scholar at the Learning Policy Institute. In his seventeen books and hundreds of articles, he has mainly focused on education and youth policy, spanning the age range from cradle to college and career. Improbable Scholars: The Rebirth of a Great American School System and a Strategy for America’s Schools, his most recent book, chronicles how a poor urban school district has brought Latino immigrant children into the education mainstream and what nationwide lessons can be drawn from this success. It was selected as the outstanding book of the year by the American Education Research Association. A former trustee of Amherst College, he has worked with policymakers at all levels of government, as well as foundations and nonprofits. He served on President Barack Obama’s 2008 transition team, where he drafted an early education policy agenda. Earlier in his career he was the founding director of the Harvard Center for Law and Education and an associate editor at the Sacramento Bee. Currently he serves on the boards of Friends of the Children and Experience Corps East Bay, and is on the policy advisory council of the Economic Policy Institute, the Campaign for College Opportunity and Common Sense Media.